Compost tea is a highly concentrated microbial solution produced by extracting beneficial microbes from vermicompost and/or compost. The first key in producing quality compost tea is to start with a high quality, microbial-rich compost. After that, there are four essentials in creating the best possible growing situation for the microbes: water, air, food and comfort. The water should be clean, de-chlorinated, potable water. Compost tea brewers are available from many companies and feature aeration systems that insure the microbes receive adequate oxygen. These companies also provide pre-mixed and packaged nutrients to feed the diverse populations of both bacteria and fungi. Finished compost tea can be used as a soil application or foliar spray. Our customers found that the addition of one pound SEA-90 sea mineral solids per 100 gallons microbial solution prior to brewing doubles the microbial populations thereby improving the finished compost tea. 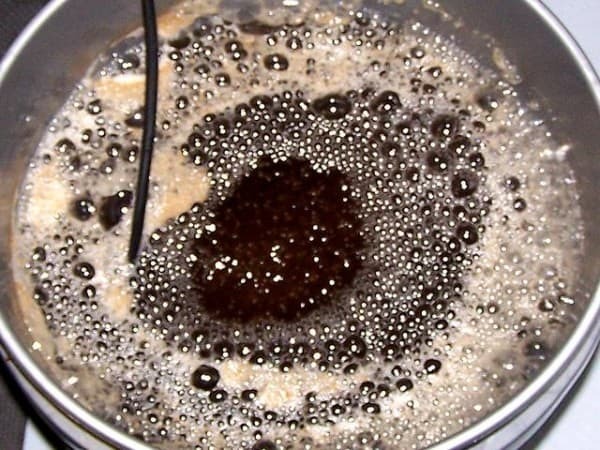 For either Soil or Foliar application mix one pound SEA-90 per 100 gallons tea (one teaspoon per five gallons tea) at start of brewing/aeration. Brew for 12 – 24 hours. After tea has brewed for 12-24 hours, mix in an additional two pounds SEA-90 per 100 gallons of tea (two teaspoons per five gallons tea) and apply 10 gallons of this mixture per acre directly on the soil surface. For gardens, we suggest applying one gallon per 100 square feet. Soil applications of compost tea put the microbes to work where needed most, plus the additional SEA-90 provides the minerals and trace elements required for a good start. Application of SEA-90 compost tea has shown to suppress plant and soil disease, increase earthworm populations, improve soil structure, retain nutrients, and increase soil-water retention ability. After tea has brewed for 12-24 hours, mix in an additional one pound of SEA-90 per 100 gallons of tea (one teaspoon per five gallons tea) and apply 10 gallons per acre. For gardens, fill one three-gallon pump sprayer and apply. The objective is to cover at least 70 percent of leaf surface (top and bottom). 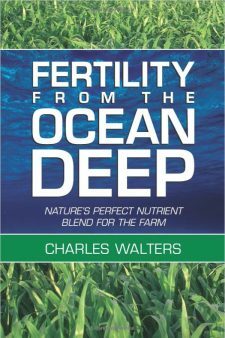 SEA-90 acts as a natural surfactant on the leaf surface and provides additional minerals and trace elements necessary for plant growth and development. When foliar applied, the beneficial microbes in compost tea occupy the plant tissue surface and convert minerals and trace elements in SEA-90 to plant available nutrients. This increases the Brix readings, and pests and diseases are suppressed. Mix one pound SEA-90 per 100 gallons (one teaspoon per gallon) at start of brewing/aeration. Prior to application, mix additional two pounds SEA-90 per 100 gallons (two teaspoons per gallon). The application ratio is one pound SEA-90 per 10 gallons compost tea per acre dependant on the soil and plant needs. Soil applications of compost tea put the microbes to work where needed most, plus the additional SEA-90 provides the minerals and trace elements required for a good start. Application of SEA-90 compost tea has shown to suppress plant and soil disease, increase earthworm populations, improve soil structure, retain nutrients, and increase soil-water retention ability. The application ratio is one pound of SEA-90 in 10 gallons of compost tea. The objective is to cover at least 70 percent of leaf surface (top and bottom). 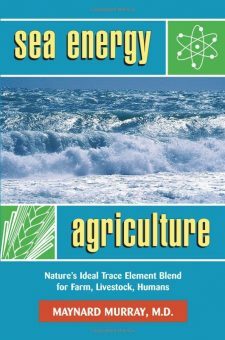 SEA-90 acts as a natural surfactant on the leaf surface and also provides additional minerals and trace elements necessary for plant growth and development. When foliar applied, the beneficial microbes in compost tea occupy the plant tissue surface and converts minerals and trace elements in SEA-90 to plant available nutrients. This in turn increases the Brix readings, and pests and diseases are suppressed.